Today’s final Horrorology post is from the lovely Jo Fletcher, our redoubtable publisher. 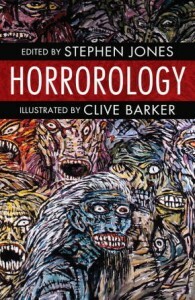 This is the third horror anthology you’ve published with Steve as editor – what was your first thought when he proposed Horrorology? How the hell do you spell it? And then, How the hell do you spell it the same way every time . . . and then, We need a really good illustrator to go with that calibre of writer. And then, How the hell am I going to explain this to the acquisition committee? Whilst no one in the Quercus editorial team has any part in JFB, and vice versa, I think it’s important that within the company we all know what each other are doing, as I am often surprised – and in a good way – how suggestions and insights can come from the most apparently uninterested people. And in this case, Jon Riley, the Editor-in-Chief of Quercus, who’s an extremely and widely well-read and much lauded editor, said, ‘What a cool idea!’ before I’d even started my pitch! So huge thanks to Jon there. And in fact, once you stop to think about it, A Lexicon of Fear is a very cool idea, and it’s also much easier to explain to booksellers than some proposals I’ve seen . 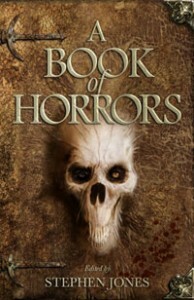 . .
Who have been your favourite horror authors over the years? Gosh, that’s an impossible question, because it changes from day to day as names I’ve temporarily forgotten edge back up to the surface . . . I’ve always preferred quiet horror to splatter (which isn’t to say that there’s some very visceral horror writing out there which I think is completely brilliant) . . . I suppose the first horror story I ever read for myself was ‘The Snow Queen’, because my grandfather had this beautiful edition of his fairy tales illustrated by Edmund Dulac, and I always thought the pictures were as much a part of the experience as the stories . . . And the other book my grandfather used to read to me was a great tome of myths and legends of the world, also beautifully illustrated, and I particularly remember the eagle, pecking out Prometheus’ liver, stomach, intestines, and so on, only for them to regrow in time for the bird’s dinner the following day . . . I’m all for nurturing the avian population, as you know, but there are limits. Those ancient gods were not just about turning into flora or fauna to have their way with any pretty young thing that happened along; they did a fine line in eternal punishment and retribution too . . .
And then of course one moves seamlessly on to MR James, Elizabeth Gaskell, Sheridan le Fanu, Algernon Blackwood and Mary Shelley and their ilk, not forgetting Keats, and Milton, and Blake, and Dante, and then we’re into the twentieth century, and the wonderful Edith Nesbit and Edith Wharton, Rudyard Kipling – there’s a Kipling story about a man trapped in a great horseshoe-shaped arena, where the people all live in coffin-shaped and -sized holes in the sides, but he cannot get out, because of the shifting sands . . . I had nightmares for months afterwards, and I have never been able to read it again, just in case . . . and of course HP Lovecraft led me to August Derleth and all the Arkham House writers, and thence to the young pretenders, like Ramsey Campbell and the of course, Charles L. Grant, the master of quiet horror, and I’m not even a quarter of the way through the first shelf of a very substantial bookcase and I am missing out so many astonishingly wonderful names, like Manly Wade Wellman and Karl Edward Wagner, and then there’s the even younger Young Turks . . . [voice fades away and three days later fades back in] . . . and Lisa Morton and Robert Shearman and Tom Fletcher and Nancy Holder and Alison Littlewood and Kim Wilkins, and of course I must end on the redoubtable Angela Slatter! 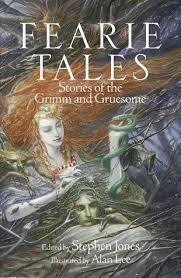 What made you want to publish an anthology of this sort? It’s still very hard to publish horror in Britain. The whole genre crashed and burned at the start of the nineties, after two decades of being able to publish pretty well anything with a haunted house or psycho killer in the description . . . but publishers were so desperate to reap the rewards that editors who knew nothing whatsoever about the history of the genre and what’d gone before were just buying and publishing anything they could get their grubby little hands on – this, by the way, is not specific to horror; name any bandwagon and you won’t need me to point out those trying to hitch a ride without understanding the direction it’s headed (I’m now going to ditch this analogy before all the wheels come off!). So where were we? Oh yes, why? Well, I’m pleased to see that interest in the genre has been slowly creeping back – we’re not talking about Number One bestsellers (well, except for Stephen King, of course, although I think everyone will admit he’s paid his dues). What I mean is that we’re at that stage where if I bring a horror project into an acquisition meeting, we will all actively consider it, and as I’m not going to bother bringing forward anything but those books I truly believe to be magnificent, we might even agree to take it on. So I think my task is to start reintroducing horror into the country’s literary diet – as one of its five-a-day, along with fantasy, SF, crime, and historical fiction (romantic fiction for desert, obviously! 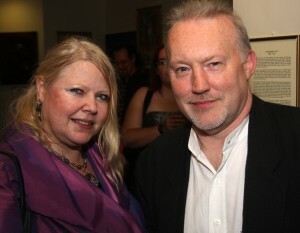 ), and what better way to do that than with Stephen Jones, one of the world’s most critically acclaimed anthology editors, collecting together some of the world’s best writers of short horror fiction, including Clive Barker, who is himself a legend . . . I think the better question is Why wouldn’t you? You’re offered the chance to visit the Library of the Damned ? do you accept? The future of horror is . . . ? Slow and steady, and most important, never let the quality drop. After all, people still love being scared – as long as they know they can turn the light back on at the end of the story . . .
Pre-order your copy of Horrorology: The Lexicon of Fear here! This entry was posted in News and tagged Algernon Blackwood, alison littlewood, August Derleth, Charles L. Grant, clive barker, Edith Nesbit, edith wharton, edmund dulac, Elizabeth Gaskell, jo fletcher, jo fletcher books, Jon Riley, kim wilkins, Lisa Morton, Lovecraft, Mary Shelley, mr james, Nancy Holder, neil gaiman, quercus, Ramsey Campbell, robert shearman, Rudyard Kipling, Sheridan Le Fanu, stephen jones, stephen king, Tom Fletcher. Bookmark the permalink.